The active ingredient is a cough suppressant that inhibits the cough reflex. It is indicated for the temporary treatment of unproductive forms of cough, that is not accompanied by expectoration caused by minor throat and bronchial irritation, as if common cold, or other respiratory tract irritation. - You are being treated or have been during the previous two weeks with some type medicine inhibitors of monoamine oxidase (MAO) inhibitors (such as some antidepressants or medicines for Parkinson's disease, or other) (see: Taking other medicines). There have been reports of abuse with medicines containing dextromethorphan in adolescents therefore be taken into account this possibility, because they can result in serious adverse effects (see section "If you take more Romilar 15 mg / 5 ml syrup than you should" ). Alcoholic beverages should not be consumed during treatment, because they can cause adverse reactions. Do not drink grapefruit juice or bitter orange during treatment, because they may increase adverse effects. Do not use in children under 6 years old. If you are pregnant or think you may be pregnant, consult your doctor before taking this medicine. Medicine use during pregnancy can be dangerous for the embryo or fetus and should be monitored by your doctor. It is unknown whether dextromethorphan passes into breast milk, so women are breastfeeding should not take this medicine. On rare occasions, during treatment, drowsiness and dizziness may appear mild, so if noticing these symptoms you should not drive a car or operate hazardous machinery. This medicine contains sucrose. If your doctor has told you have an intolerance to some sugars, contact your doctor before taking this medicine. Patients with diabetes mellitus should be aware that this medicine contains 3.05 g of sucrose per 5 ml (1 measuring spoon). It can cause tooth decay. This medicine contains sorbitol. If your doctor has told you have an intolerance to some sugars, contact your doctor before taking this medicine. This product contains 0.02% ethanol (alcohol), this small amount corresponds to 0.925 mg / 5 ml dose. · Over 12 years old: 5 ml (1 measuring spoon) (15 mg dextromethorphan hydrobromide) every 4 hours, or 10 ml (2 teaspoons of measurement) (30 mg) every 6-8 hours. Do not exceed the dose of 120 mg / day (8 teaspoons of measurement). · Children 6 to 12 years old: 2.5 ml (half-measuring spoon) (7.5 mg) every 4 hours or 5 ml (1 measuring spoon) (15 mg) every 6-8 hours. Do not exceed the dose of 60 mg / day (4 measuring spoons). Do not exceed 6 daily doses. Orally. 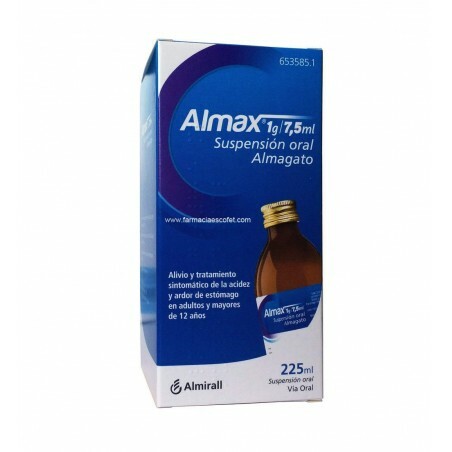 It can not be dissolved or taken with grapefruit juice or bitter orange, see Taking Romilar 15 mg / 5 ml syrup with food and drink. If the cough worsens or persists for more than 7 days, or if it is accompanied by high fever, rash or persistent headache, consult your doctor. If you take more Romilar 15 mg / 5 ml syrup recommended may suffer digestive disorders such as nausea dose, vomiting, eye disorders, nervousness or drowsiness, among other effects, depending on the dose. In children, accidental ingestion of very high doses can cause hallucinations (visions or missing auditions), rash, nausea, drowsiness, nervousness, involuntary eye movements and changes in gait, among other symptoms. There have been instances of abuse with medicines containing dextromethorphan in adolescents and can cause serious adverse effects such as tachycardia (accelerated heartbeat), lethargy, hypertension or hypotension (high or low voltage), mydriasis (dilation of the pupil eye), agitation, dizziness, gastrointestinal disturbances, hallucinations, speech slurred, nystagmus (uncontrolled, involuntary eye movement), fever, tachypnea (rapid, shallow breathing), brain damage, ataxia (uncoordinated movements), seizures, respiratory depression, unconsciousness, arrhythmias (irregular heartbeat) and death. In case of poisoning, they should apply appropriate symptoms, which may include intravenous injection of naloxone and gastric lavage treatment. 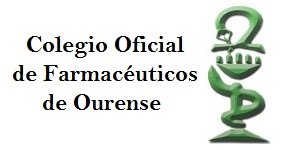 In case of overdose or accidental ingestion, immediately consult your doctor or pharmacist, or go to a medical center or call poison control center, phone: +34 91 562 04 20, indicating the medicine and the amount taken. If you forget to take Romilar 15 mg / 5 ml syrup and symptoms continue, not take a double dose to make up for a forgotten dose. If you have missed a dose, take it as soon as possible and continue with your regular schedule, as indicated in paragraph 3: HOW TO TAKE Romilar 15 mg / 5 ml syrup. Like all medicines, Romilar 15 mg / 5 ml syrup can cause side effects, although not everybody gets them. During the period of use of dextromethorphan we have observed the following side effects, which often could not pinpoint: nausea, vomiting, stomach aches, constipation; drowsiness and dizziness, mild confusion (rare or rarely), headache. Keep out of reach and sight of children. Do not freeze. Do not use Romilar 15 mg / 5 ml syrup after the expiry date on the carton after EXP. The expiry date is the last day of that month. The active ingredient: 15 mg dextromethorphan hydrobromide. The other ingredients (excipients): Sucrose, sodium benzoate (E-211), sorbitol (E-420) non-crystallizing liquid, sweet orange oil, lemon tetraroma, coriander oil, citric acid anhydrous, concentrated candy (E- 150 C) anhydrous ethanol, purified water.